A rugged and fearless character, noted for his powerful clearance kicking, he began with Clitheroe Central and then Darwen, before having trials with First Division Liverpool and then Second Division West Bromwich Albion in 1910, but he did not appear for their senior teams. In May 1911 he joined Grimsby Town and won his League spurs with them, playing four games in two seasons before going to Non-League clubs, Midland League Gainsborough Trinity in July 1913, and then Southern League West Ham United in May 1914. He was the Hammers’ first choice left back at the start of the 1914-15 season but then lost his place after just four games in September. He played one game in December but did not regain the regular spot until March 1915 and had played just thirteen games before World War One brought an end to professional football in England. He stayed at West Ham initially but only played three more games for them in the 1915-16 season of the Wartime London Combination League. During World War One he guested for First Division Preston North End and signed for them from West Ham United in March 1919 for £25. Preston Manager Vincent Hayes was trying to rebuild his team after the War and had former England international Joseph McCall as his Captain and also signed Tommy Roberts, Rowland Woodhouse, Archie Rawlings and George Waddell. Preston North End did very well in the F.A. Cup in 1922. They defeated Wolverhampton Wanderers at Deepdale by 3-0, Newcastle United at Deepdale by 3-1, Barnsley at Deepdale by 3-0, after drawing 1-1 at Oakwell and Arsenal at Deepdale by 2-1, after drawing 1-1 at Highbury. Archie Rawlings scored the first goal in the semi-final against Tottenham Hotspur and created the chance for Tommy Roberts to score the winning goal as North End triumphed 2-1 at Sheffield. Preston played Huddersfield Town in the final at Stamford Bridge. The team lost to the only goal of the game, a penalty conceded by Tommy Hamilton. 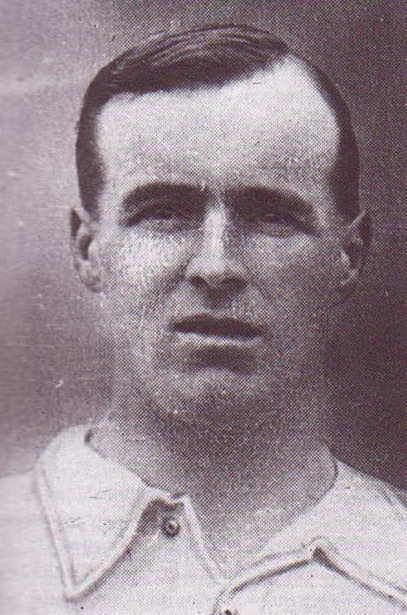 It was awarded when Hamilton tripped Huddersfield's outside-left Billy Smith. Hamilton admitted the offence but claimed it was outside the penalty area. He played regularly with the Lilywhites making sixty-five appearances in four seasons, but did not feature in the 1922 Cup Final. He was sold to Leeds United for £250 in August 1923. He finished his distinguished career by winning a Division Two Championship medal with Leeds in 1923-24 and stayed with United until he retired in the summer of 1925, at the age of thirty-four. He was unfortunate to lose some of his best years as a player because of World War One and after he retired he ran The Commercial Hotel, Clitheroe until the late 1940's and then another Hotel in Accrington. He died in Blackburn on 10th March 1953, aged sixty-two.